I would love you forever, if I only had the chance... Kacey Dawson has always lived life on the edge--impulsively, sometimes recklessly. And now, as lead guitarist for a hot up-and-coming band, she is poised at the brink of fame and fortune. But she is torn between wanting to be a serious musician, and the demons that lure her down the glittering, but alcohol-soaked path of rock stardom. A wrecked concert in Las Vegas threatens to ruin her career entirely. She wakes up with the hangover from hell and no memory of the night before, or how she ended up on her limo driver’s couch... Jonah Fletcher has four months to live, give or take. He’d take more but knows his situation is hopeless, and that it’s better to try to make the most of whatever time he has left. His plans include seeing the opening of his glass installation at a prestigious art gallery…they do not include falling in love with a wild, tempestuous rock musician who wound up passed out on his couch. Jonah sees that Kacey is on a path to self-destruction. He lets her crash with him for a few days to dry out and get her head on straight. But neither of them expected the deep connection they felt, or how that connection could grow so fast from friendship into something more. Something deep and pure and life-changing…something as fragile as glass, that they both know will shatter in the end no matter how hard they try to hold on to it. 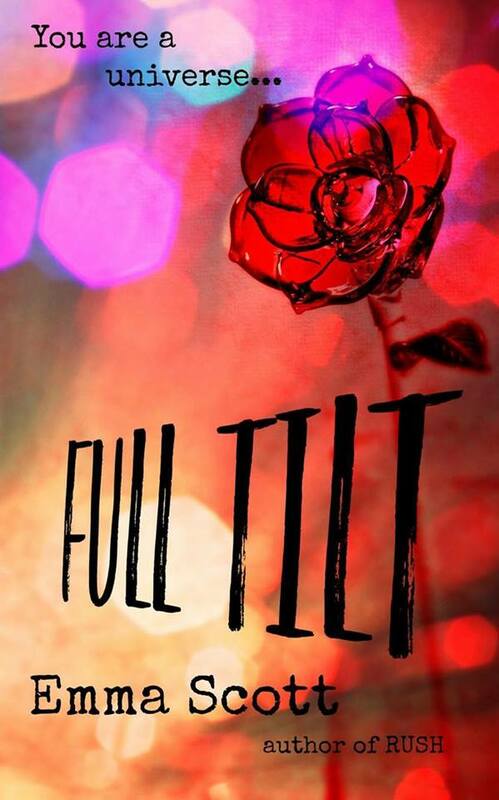 Full Tilt is a story about what it means to love with your whole heart, to sacrifice, to experience terrible grief and soaring joy. To live life with all its beauty, and all its pain, and in the end to be able to smile through tears and know you wouldn’t have changed a thing.